Video courtesy of Matthew Hamilton. 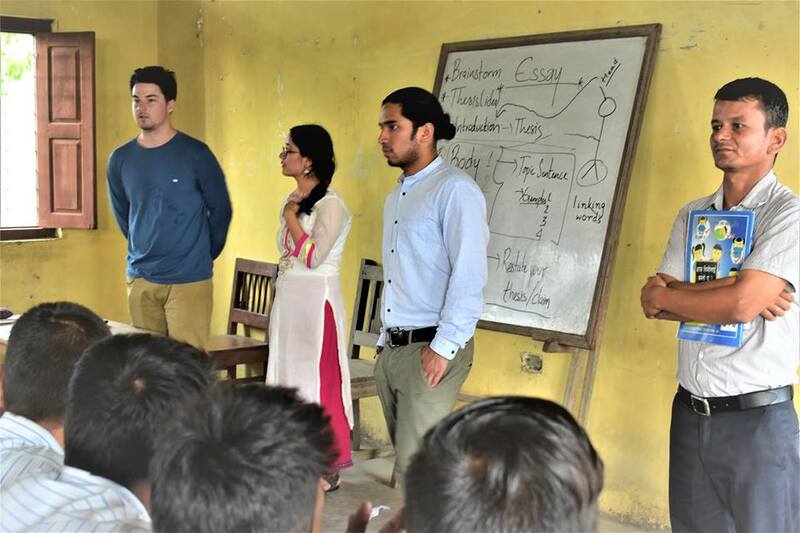 Introduced in the summer of 2006, the Take-a-Friend Home Program (TAFH) is an innovative global outreach and cultural immersion program through the Churchill Institute for Global Engagement at Westminster College. With TAFH, international students select a friend with whom they would like to travel and share their family experience. Likewise, American students may select an international friend with whom they might like to share their American family experience over a holiday such as Thanksgiving or Winter break. The College pays for the round-trip airfare for the international flight for each “team” of students. Participating students agree to host their friends and share their experiences with the Westminster community upon their return. 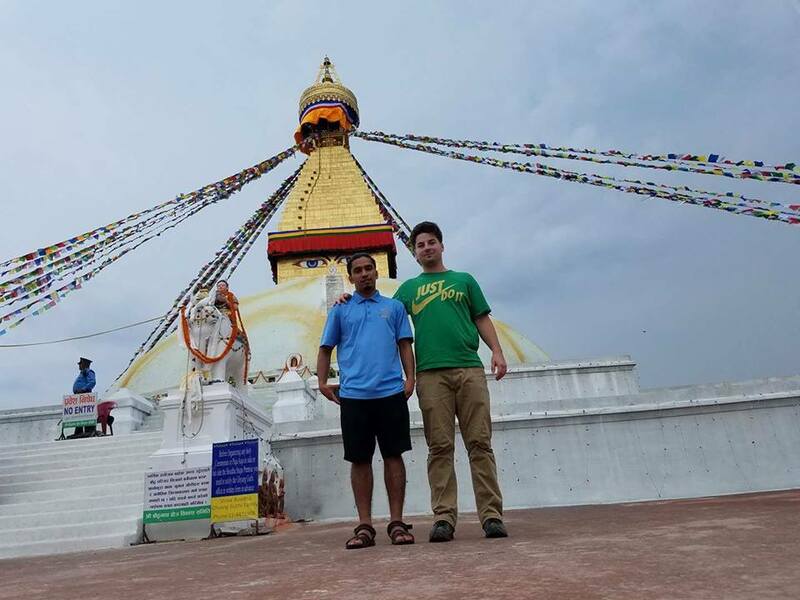 Chandan Thapa ’19 (BΘΠ) and Matthew Hamilton ’19 (BΘΠ) teamed up this summer and traveled together to Matthew’s hometown of Columbia, Missouri, and Chandan’s hometown of Kathmandu, Nepal. Here’s their story. How did you first become interested in the Take a Friend Home program? 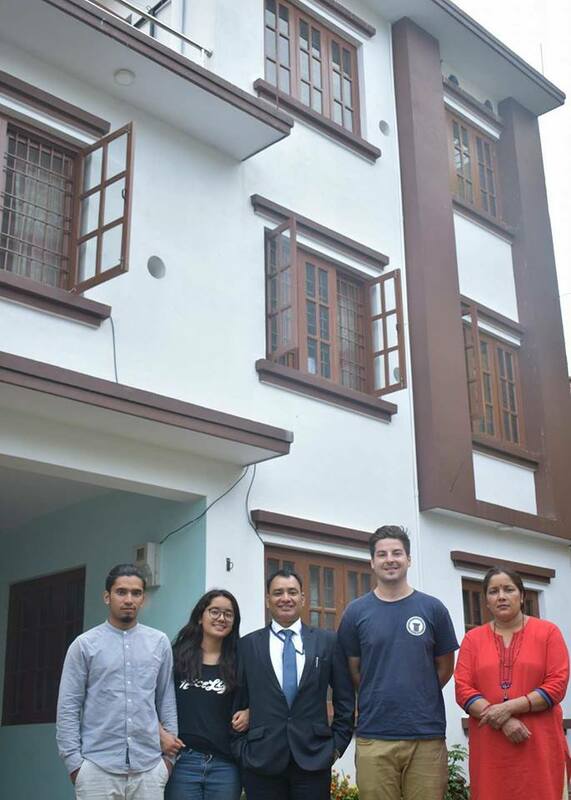 Chandan: Manoj Chapagain, a previous beneficiary of the TAFH Program and our fraternity brother, introduced us to this program. He also invited Matt and me to his presentation on Take-a -Friend-Home with his TAFH partner. Matt and I also went to other presentations, organized by Dr. Straughn, where we had an opportunity to hear about other people and their experiences in the respective countries they had visited. Matt told me he had never been to another country. 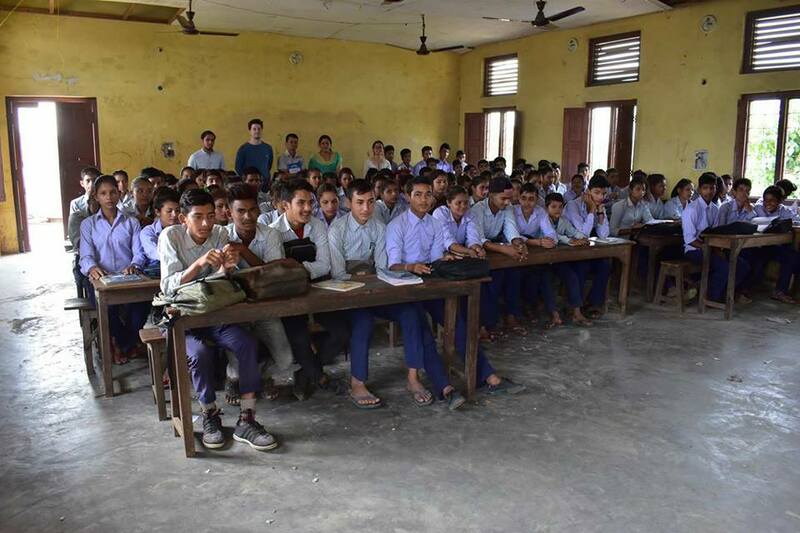 Then one conversation led to another and the next thing we know, we were writing applications, preparing for interviews and collecting documents to fly to Nepal. What was it like meeting each other’s families? 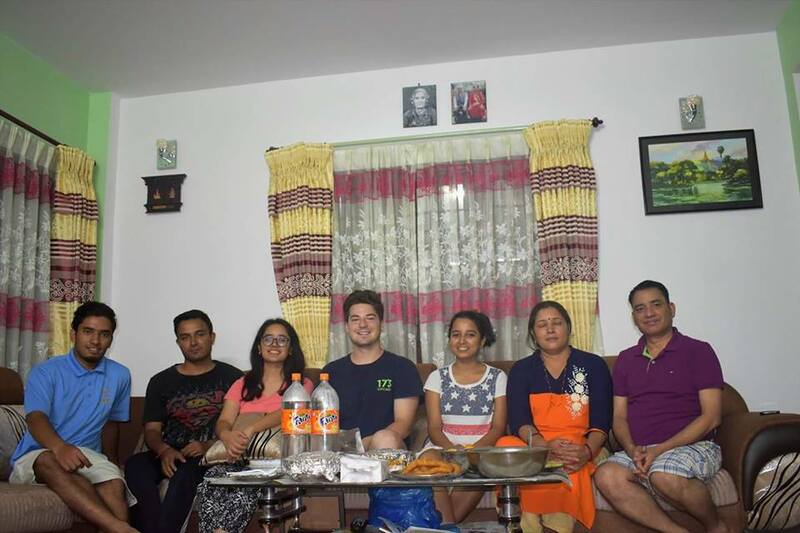 Matthew: Meeting Chandan’s family was wonderful. They are some of the most genuine people I have ever had the pleasure of knowing. 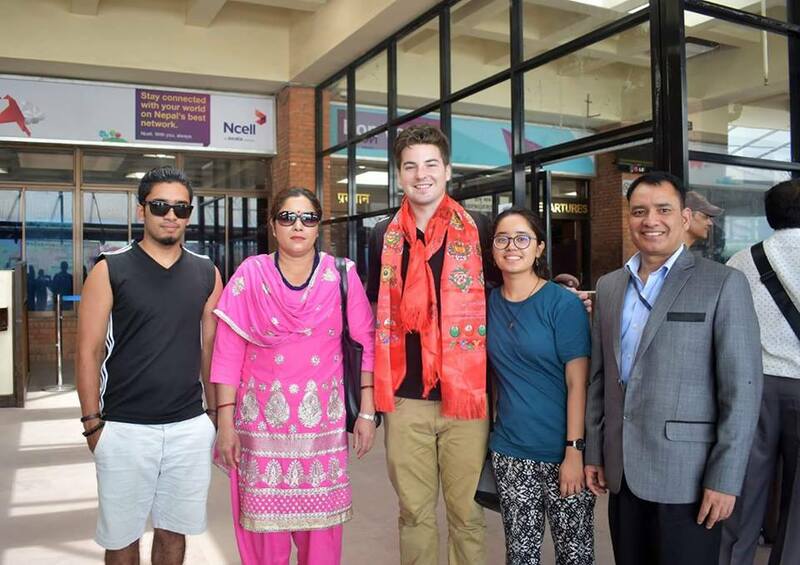 I first met Chandan’s mother, sister, and family driver at the airport in Kathmandu, and they were very warm and receptive. 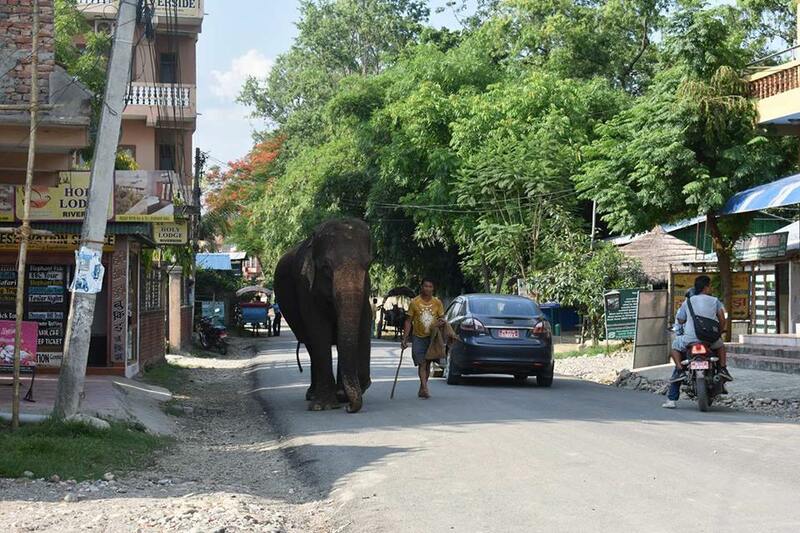 That first car ride through Nepal will be one I remember for the rest of my life. 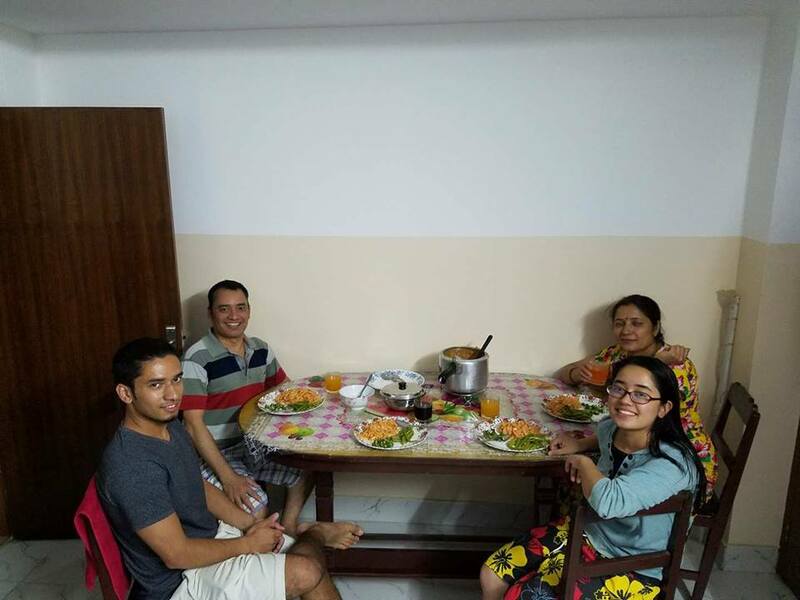 Chandan: Meeting Matt’s family was fun and exciting. I was there at Thanksgiving, so I got to meet a lot of people from his dad side of the family. Since it was Thanksgiving, the food was great—although I did not know half of the food I was being served. Apart from food, Matt’s family members were very receptive of me. 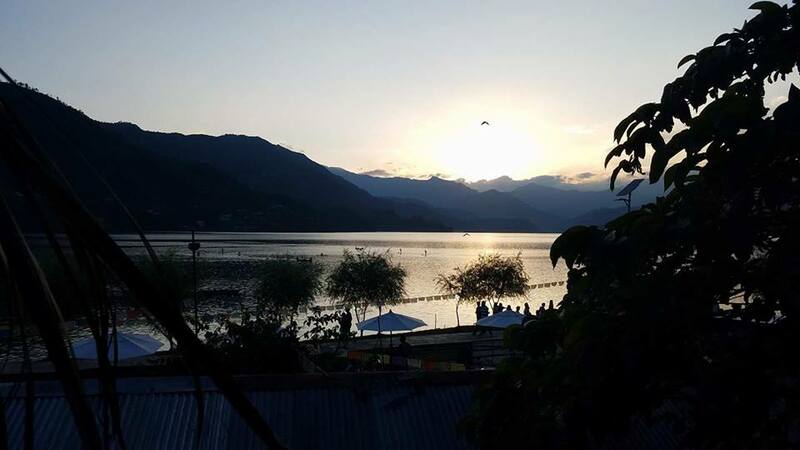 I spent the first half of my stay there pronouncing my name and then explaining where Nepal was, but it was worth it in the second half which was more relaxing and had some good conversations. Matthew: What surprised me the most was the public transportation. It costs the equivalent of about 15-40 cents to take the public buses around the city in Kathmandu. Most of the time we would take mini buses. The mini buses are designed to fit around 8 passengers comfortably, but at any given time there could be more than 20 people packed into the bus. It was quite shocking at first, but I eventually got used to it. Chandan: What I have noticed is that American culture is more individualistic. When I was at Matt’s during Thanksgiving, everybody was busy catching up with each other and the setting was more formal. 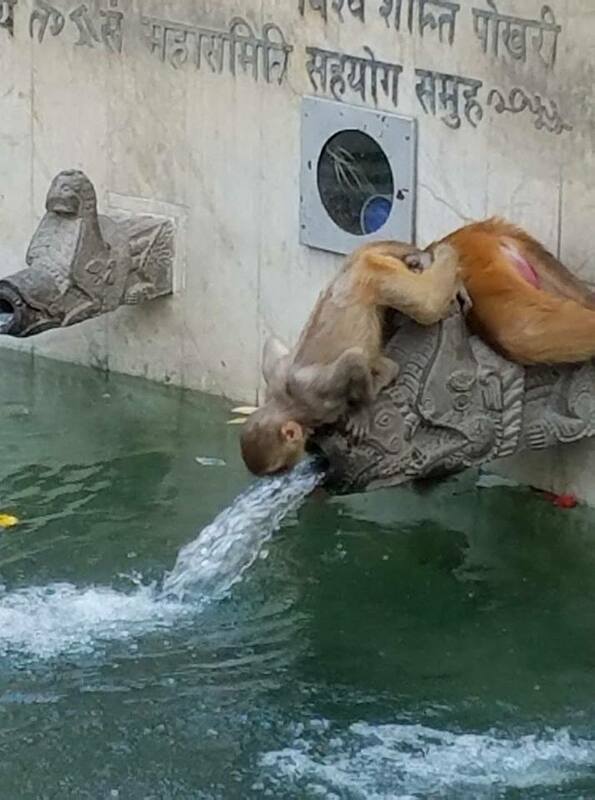 Whereas in Nepal, I feel like families are more interconnected. Everybody lives close by or in a joint family structure. There are three or four generations of family living together. For instance, I live with my grandparents, dad, mom and my sisters. And in Nepal families poke their nose in everybody’s life, so I feel like families are closely knotted. And everybody knows what’s going in everybody’s lives. What activities or experiences did you most enjoy together in the U.S.? 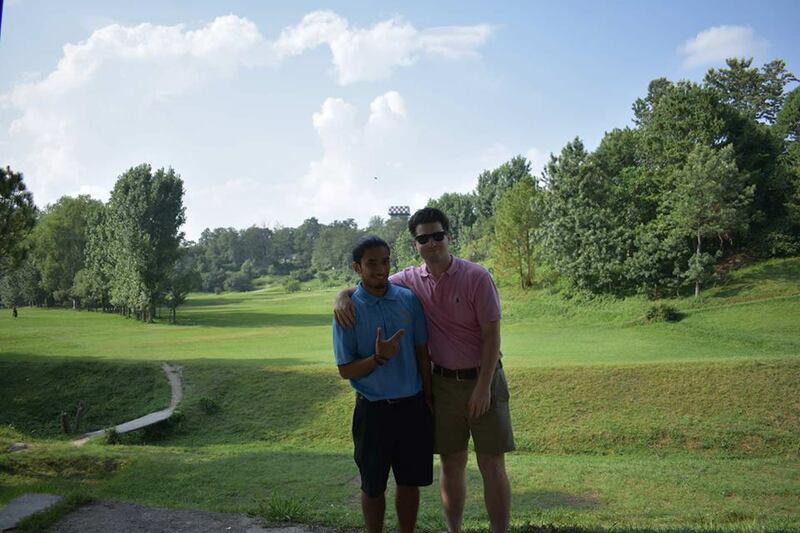 Chandan: Since we are fraternity brothers, we have done a countless number of things together. But if I were to tell the highlights, then clay shooting, fishing, Thanksgiving dinner, and going to a baseball game were completely new and exhilarating experiences. I had never shot a gun before, so that experience was nerve-racking since I was missing all my targets. But as soon as I got the hang of it, it was fun and addictive. Fishing was completely different. I did not catch any fish. Turns out, I am not very patient! Thanksgiving was the time when I got to eat authentic American dishes and I also got to meet Matt’s family. So that was fun. Lastly, the baseball game! Although I did not know the game or the team or the players properly, for that day I was a huge Cardinals supporter. Matthew: One of my favorite things we did together was trap shooting. We took my 12 gauge out to my buddy’s farm and we all spent an hour or two just shooting clay birds. It was a lot of fun for me to watch Chandan learn how to shoot for the first time ever. He is a quick learner and he caught on fast. Another fun experience we had together was making Nepali momo (dumplings with meat filling) back at the college with some other Nepali students. We spent all night making momo and then we thoroughly enjoyed eating them. 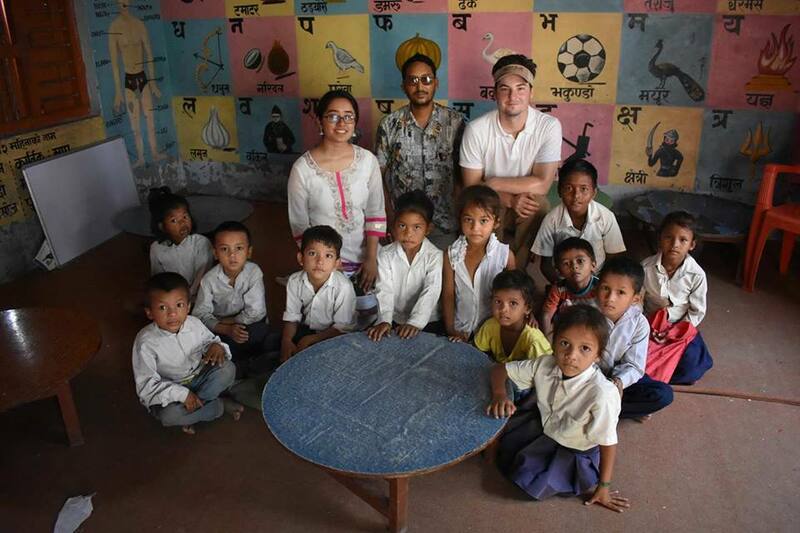 What activities or experiences did you most enjoy together in Nepal? 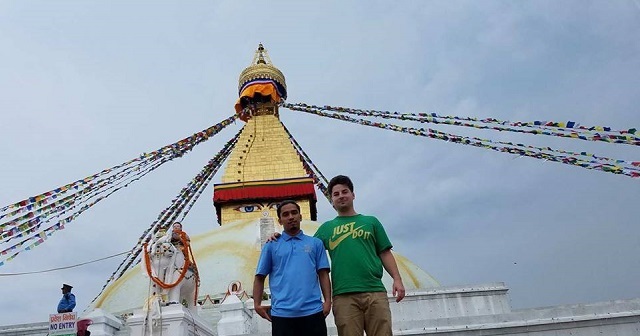 Matthew: One of my favorite things to do in Nepal with Chandan was to simply walk around Kathmandu and experience the city. I loved to stop in at restaurants, and we would always order some momo and chili chicken. One of the things I will miss the most is the momo. 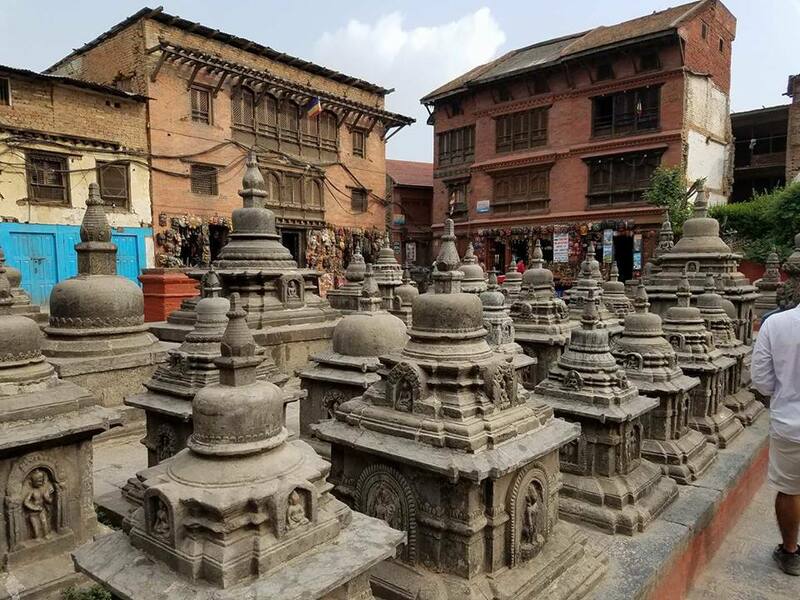 Among other things, I enjoyed seeing all of the various temples, stupas, and palaces that Nepal has to offer. 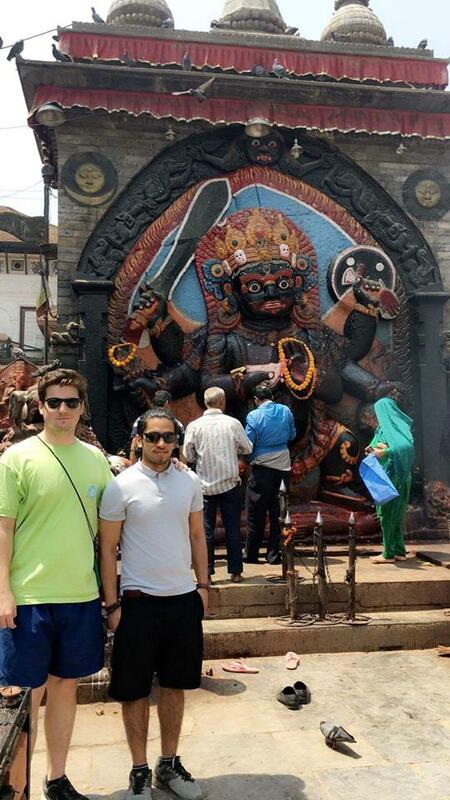 Chandan: Matt and I did a lot of traveling during our stay in Nepal. 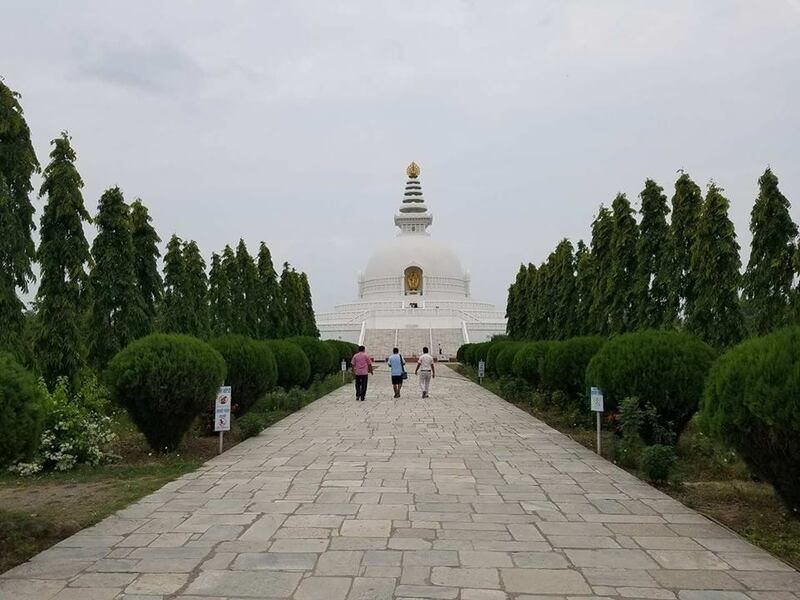 We visited some of the most historical landmarks and some of the most sophisticated religious places and trekked to the country’s most beautiful cities. 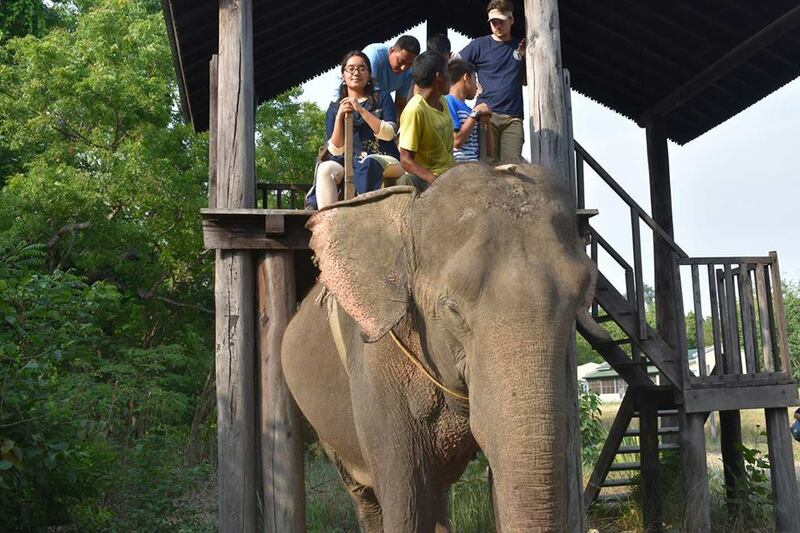 All of these were fun and exhilarating, but one that stuck out and will be remembered for a long time would be our visit to my village, where I took Matt to see my grandmother. Although my sister and I were the only people with whom Matt could have a full conversation, the effort Matt and the people in the village made to communicate was astonishing. Somehow they all created the most sophisticated language through gestures and signs and where the words were just uttered but meant nothing. Then it was learning about the most mundane artifacts and culture. Unknowingly, I was born into the system. I was doing things because it was built in for me. But when the locals were telling the significance of every little thing and as I was translating it back to Matt, I was learning about my own culture and the place I was born and raised in. What do you think is the most important thing you learned through this experience? 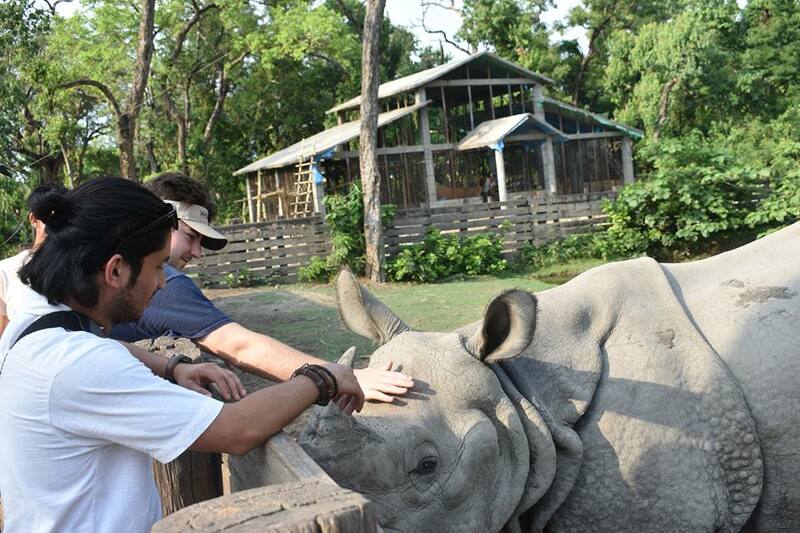 Matthew: Overall, this experience was a humbling one. I always thought of myself as a simple person, not ever too wrapped up in material things. 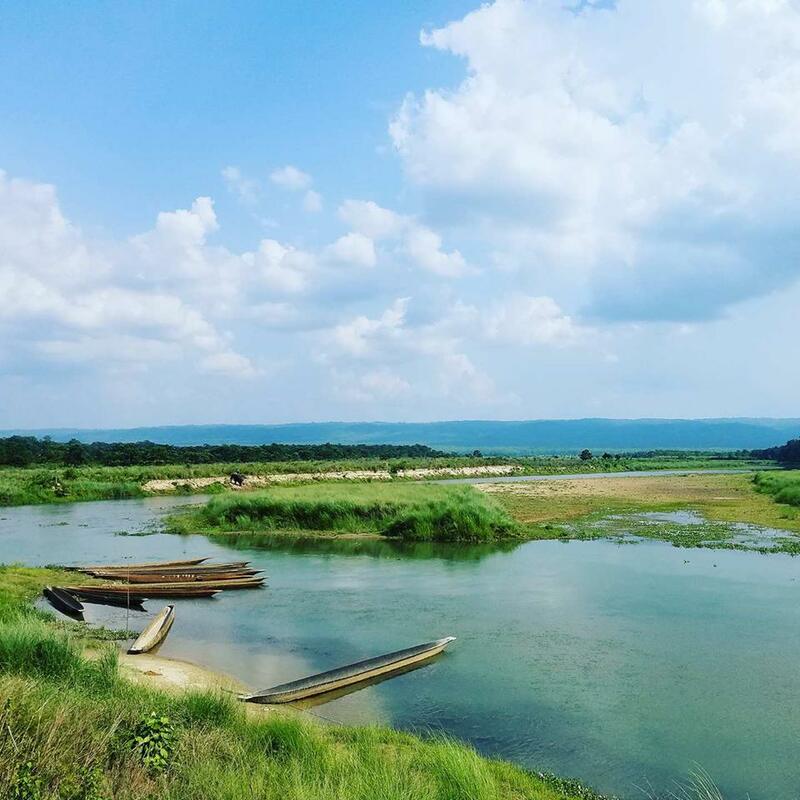 I have always understood that there are people all around the world that live a tougher life than I do, but until I experienced it firsthand, it never weighed on me very much. 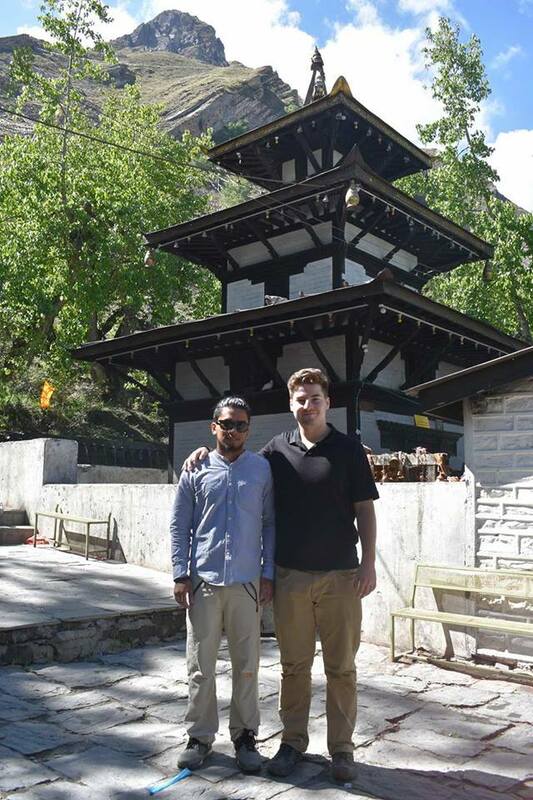 One of the most humbling experiences I had in Nepal was when I was staying in Muktinath. I don’t really know what kind of reaction I was expecting but in that moment I was suddenly much more appreciative of the home I live in. It’s truly a blessing to have A/C, clean roads, a trash pickup system, privacy, clean water, quick access to emergency services, etc. 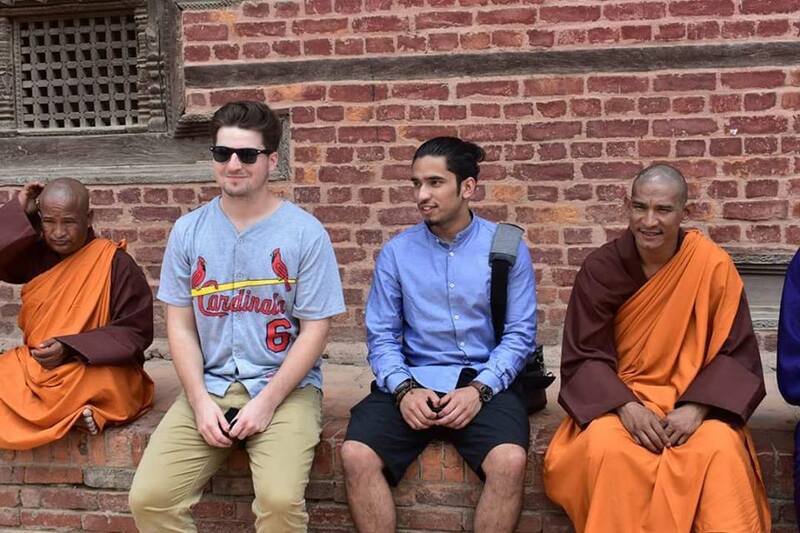 Chandan: I would say that watching my own culture and traditions through the lens of a foreigner was an eye-opening experience for me. This trip made me appreciate all the little things we do that makes us who we are. 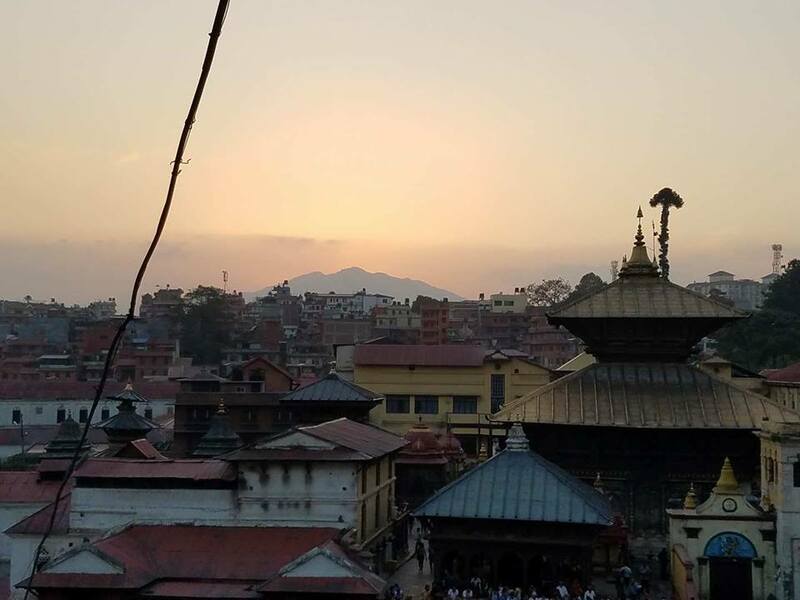 What do you want people to know about Nepal? 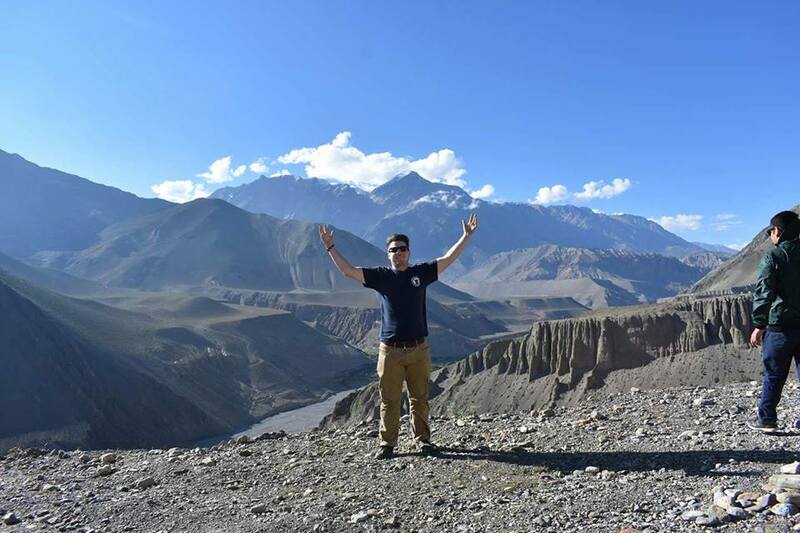 Matthew: I want people to know that Nepal is a wonderful place. It is a little underdeveloped, but its people are some of the nicest I have ever had the pleasure of knowing. Nepal is full of cows too—they are everywhere! So if you are okay with cows taking naps in the middle of bustling roads, then Nepal is the place to be. 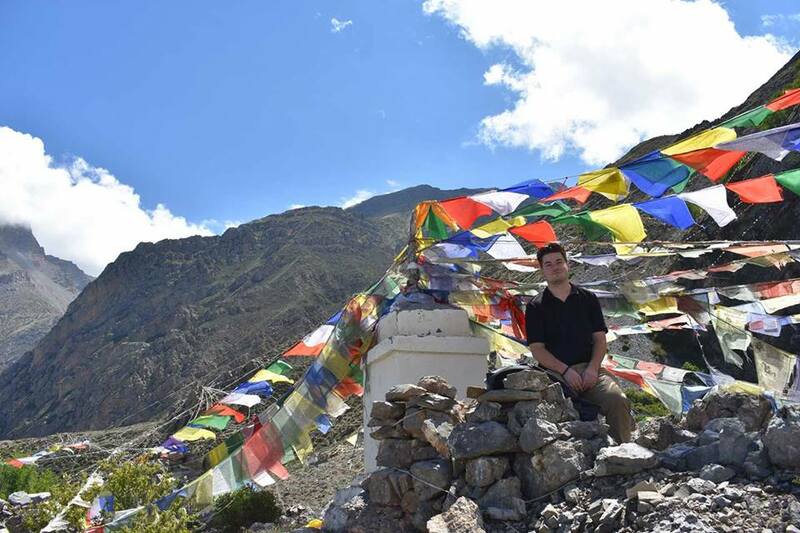 Nepal is one of the most unique places in the world. Despite being relatively small in total land area, it is extremely diverse. The Himalayas are one of the most beautiful things I have ever seen. 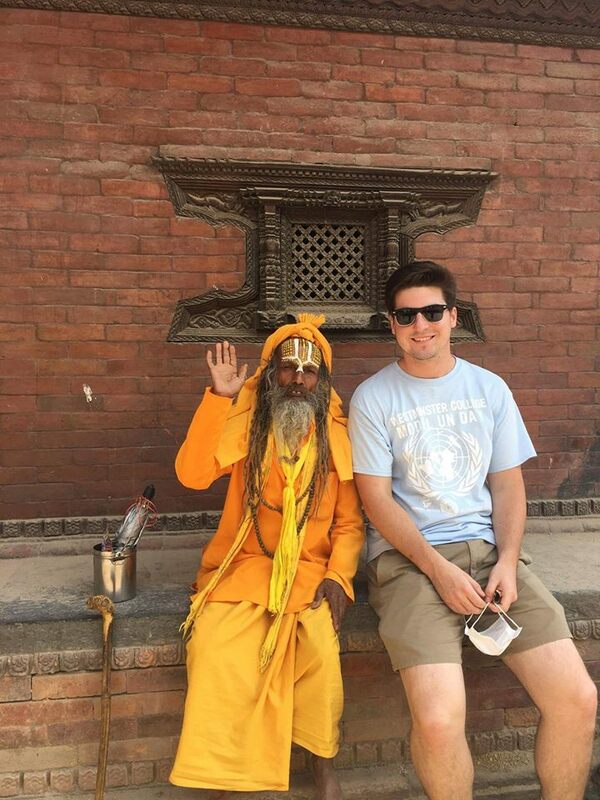 Nepal is the place to be. 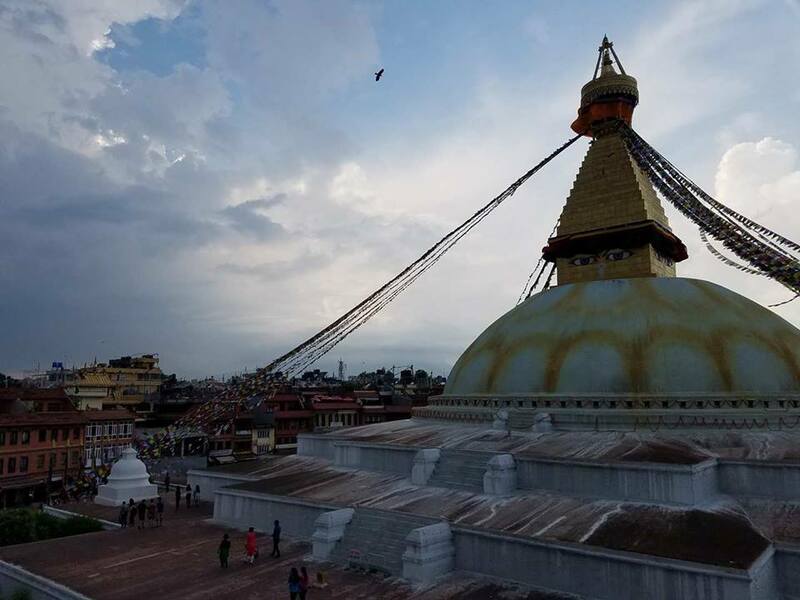 Chandan: Nepal might be smaller in size, but it is one of the most culturally, religiously, and geographically diverse country in the world. It is a home to one of the most hospitable peoples in the world. One hundred twenty-three ethnic groups coexist together with the blend of their own unique traditions. It is also a religious hub for Hindus and the Buddhists. Hindu and Buddhist pilgrims from all around the world pay visit every year. 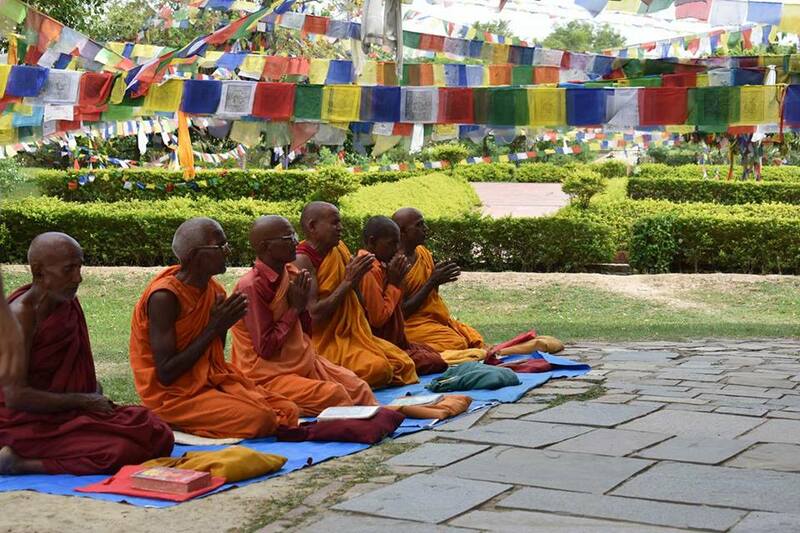 It is a peace-loving country, where the Lord Buddha was born. 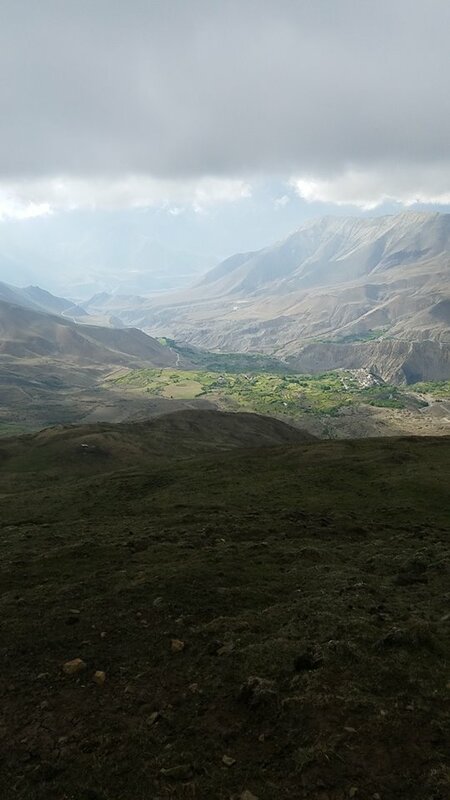 From plains to lush green hills to snow-capped mountains, the country has it all. Eight of the tallest peaks in the world, including Mount Everest, are in Nepal. And beware of the food—“there is a high tendency that you can’t stop eating and the people can’t stop serving!” which Matt can attest to. 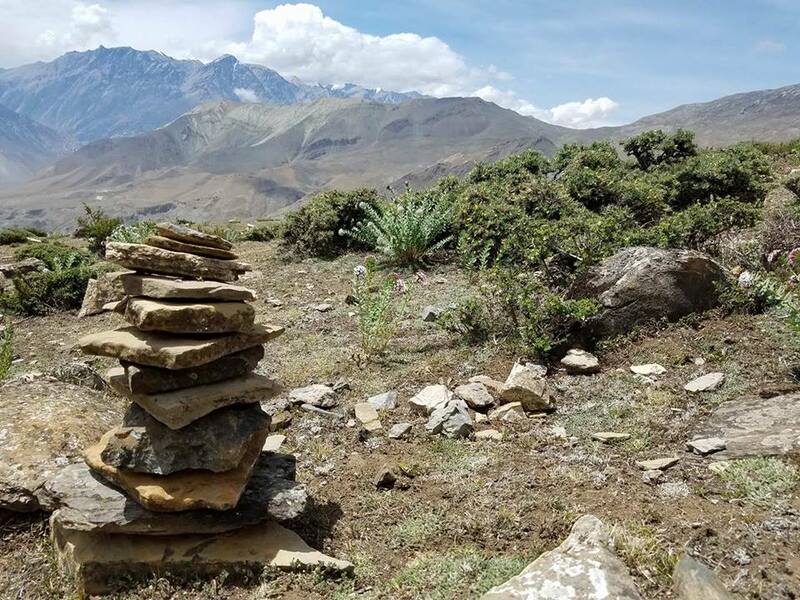 Embrace yourself to experience adventures along the way in this Himalayan nation. What do you want people to know about the Take-a-Friend-Home Program? Chandan: Take-a-Friend-Home program is one of the most culturally enriching programs at Westminster College. The program helps to broaden your horizon. 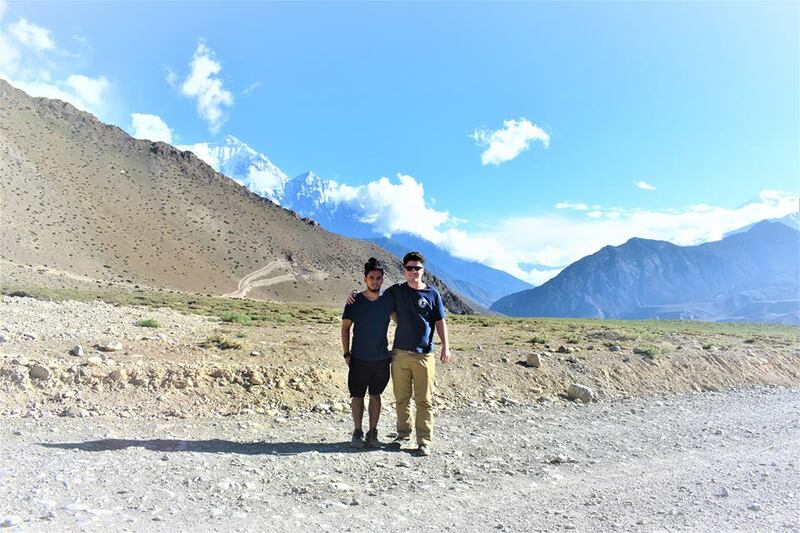 This program not only brings two friends together, but it also connects two families. And if you think you know your culture and traditions, then take a friend home—you will be surprised! Apart from that, it is a once-in-a-lifetime opportunity to make memories and treasured stories that you will be telling for a very long time. 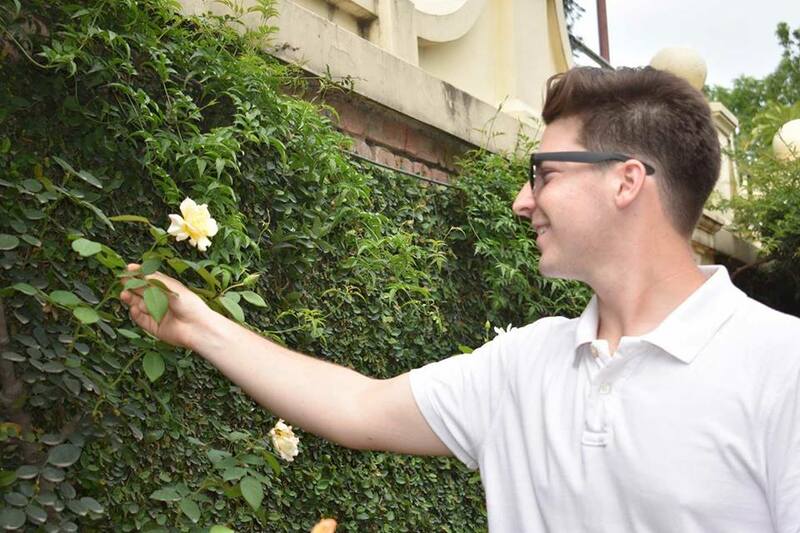 Matthew: The program can provide an opportunity for someone to truly experience another world who otherwise would not have the chance to do so. I would advise anyone at Westminster who is even remotely interested in the program to look into it. The TAFH Program has the potential to open up the world to those of us who have spent our whole lives living in just one small part of it. 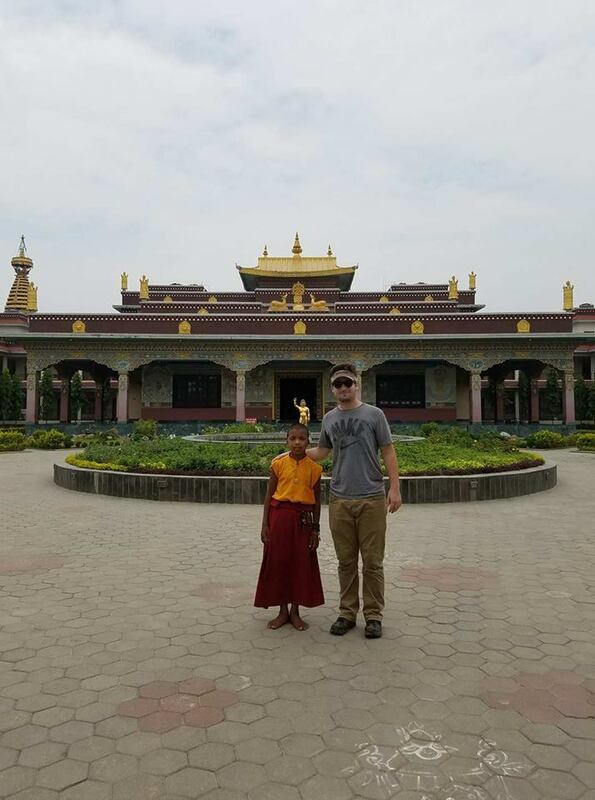 Watch Matthew’s video of the trip at the top of this page or browse the gallery below to see more of their travels. Learn more about the Take-a-Friend-Home Program.